As the year draws to an end, Asia IoT Business Platform concludes its final activity for the year 2018 in Yangon, Myanmar. Having hosted multiple events throughout ASEAN, we present some common themes that ASEAN member states (AMS) are focusing on as the digital economy era progresses and digital transformation becomes ever more critical to development. Many AMS face policy challenges not just in IoT but digital transformation as a whole. Given the infancy and volatility of the process, there is not yet an established success formula in guiding digitalisation. Countries such as the Philippines and Malaysia are looking to establish better standards and regulations to better guide how digital transformation in their country progress. 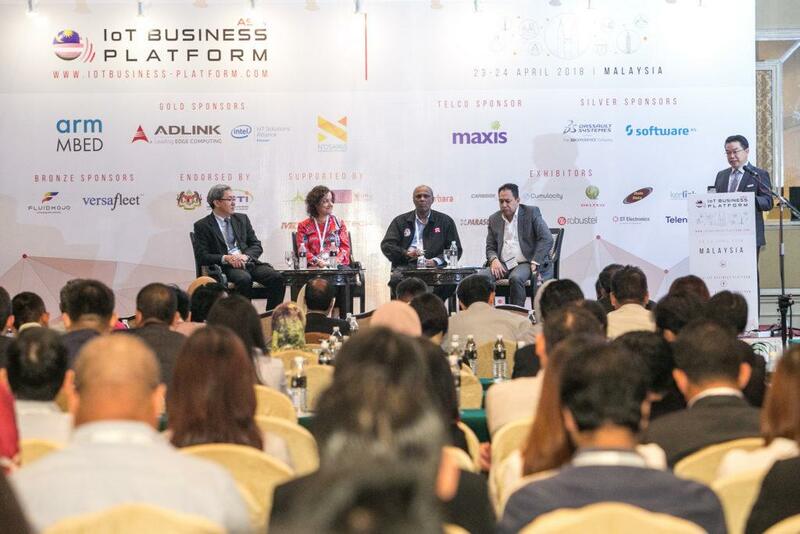 During the IoT Leaders’ Keynote panel discussion at the Asia IoT Business Platform (AIBP) 2018 in Malaysia, it was highlighted that many malaysian enterprises are aware of and willing to adopt IoT solutions but are confused on where to start given IoT’s overwhelming number of benefits and opportunities, making the need for guidelines and policies all the more urgent. Setting up new and comprehensive policies will be a focus of many AMS. To accelerate IoT adoption and digitalisation, Indonesia’s Ministry of Communication and Information Technology (MCIT) launched a draft of the country’s IoT roadmap at AIBP 2018, pointing out key components in IoT adoption. MCIT stated that regulation will be implemented to help and not hinder the process of IoT adoption and is inviting stakeholders such as telcos and solution providers to give input to allow better crafting of policies. MCIT has also implemented initiatives to improve connectivity to remote islands to inculcate an inclusive digital transformation. 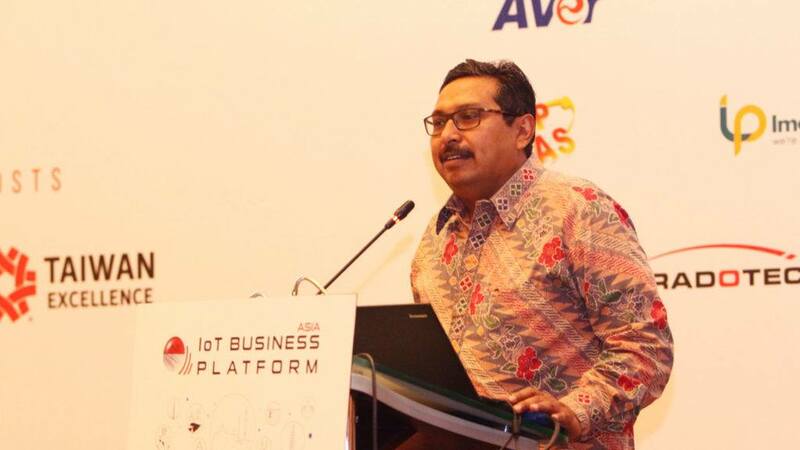 Indonesia aims to focus on IoT to fulfil its visions such as Industry 4.0, offering incentives like 100% tax reductions for growing enterprises aiming for digitalisation. 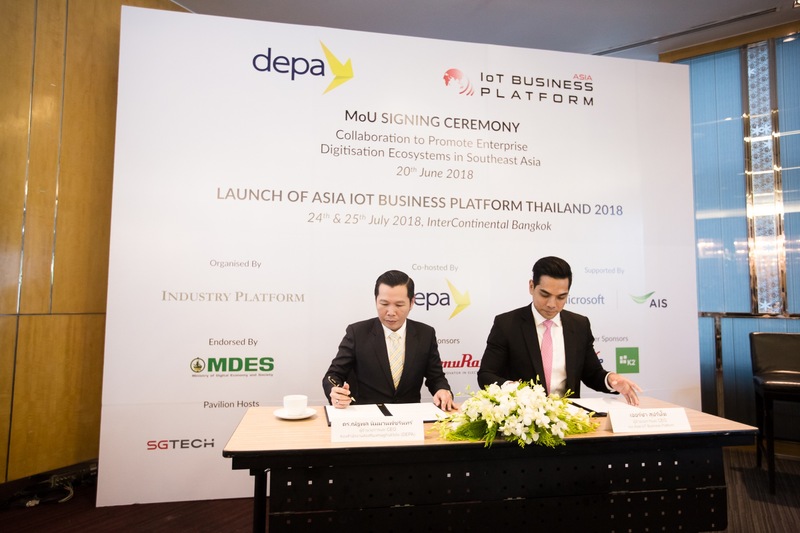 Government agencies such as the Digital Economy Promotion Agency (depa), Thailand continues to implement policies to drive digital transformation. It focuses on finding business opportunities and opening up markets for Thai enterprises to venture into. One such initiative is the Digital Park Thailand located in the Eastern Economic Corridor (EEC) spearheaded by Thailand prime minister General Prayut Chan-o-cha. The Digital Park Thailand contains digital infrastructure and facilities to accelerate digital transformation and developing the digital economy. 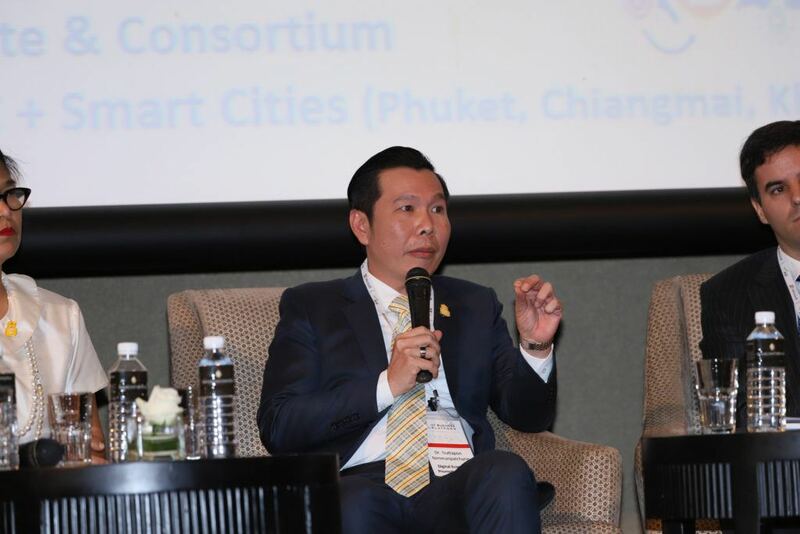 The facilities includes the THB$3.5 billion IoT Institute, which began construction in 2018 and is expected to be completed by 2020, a 5G network testbed and a Smart City Platform. All are part of the government’s efforts to drive digital development and transform Thailand into a leading digital economy. The Internet-of-Things (IoT) is thought to be not a particular technology but an ecosystem. IoT revolutionizes the traditional economy and changes how businesses operates, becoming a key foundation to realizing digital transformation. The interconnectivity aspect of IoT gives a higher level perspective, and offers innovative insights and solutions through identifying new trends. 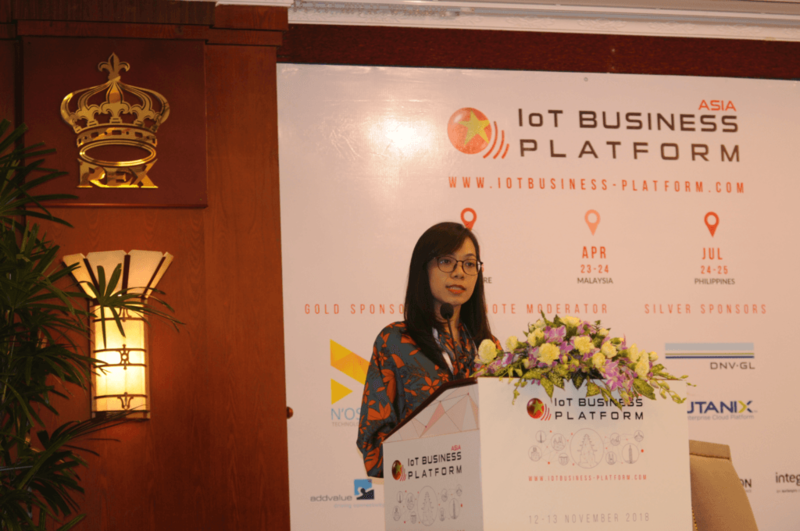 Throughout the AIBP Keynote discussions in Malaysia, Philippines, Thailand, Indonesia, Vietnam and Myanmar, industry leaders have expressed the crucial need for collaboration between stakeholders to develop the IoT ecosystem. Stakeholders such as the government, telecommunication companies, solution providers and enterprises need to collaborate to drive innovation. Through collaboration, there are better opportunities to facilitate exchange of knowledge and resources. It accelerates digital transformation and technology developments. Ecosystems are being developed on both a regional and local scale. Local ecosystems ensures better tailored solutions for the country’s needs while regional ecosystems exponentially increases opportunities, knowledge and resources available. 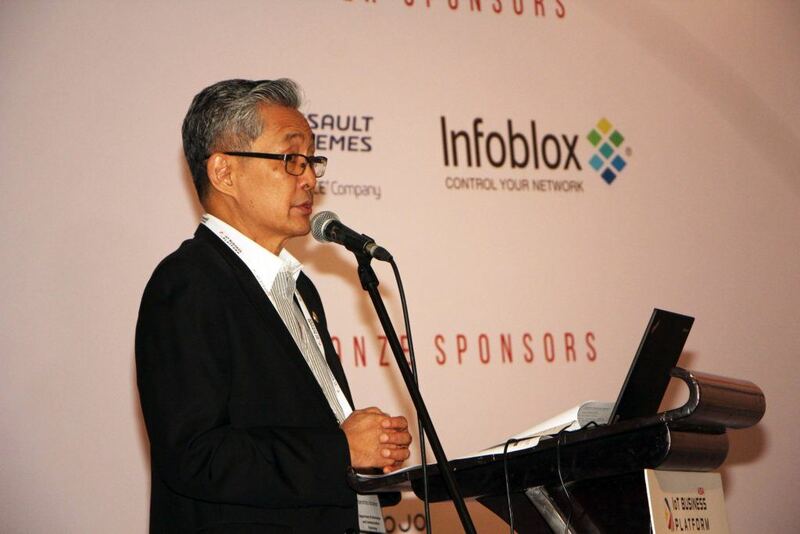 Ecosystems have to be interconnected end-to-end with more partnerships to become stronger as mentioned by Dr. Jean Liu, Chairman of Future Manufacturing Committee of Taiwan IoT Technology and Industry Association (TwIoTA). 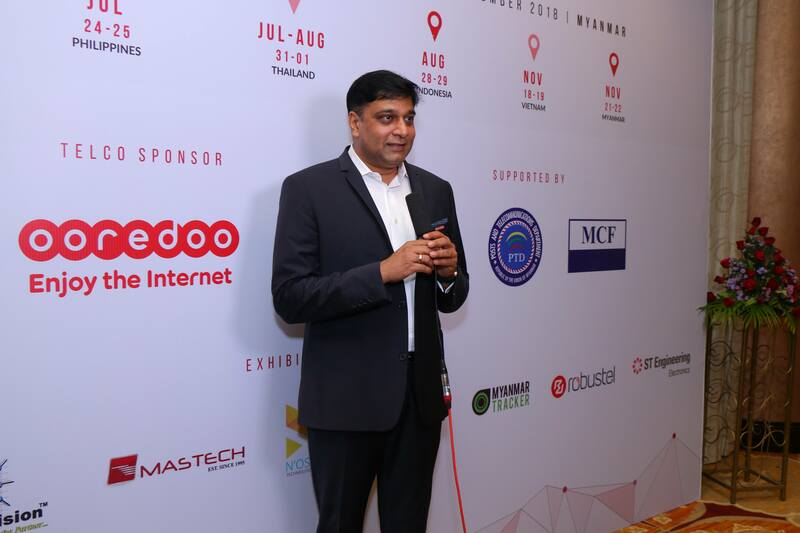 Myanmar is one of the world’s fastest growing in digital development and Vikram Sinha, Chief Executive Officer of Ooredoo Myanmar, highlighted at AIBP, the need for external partnerships from regional players to inspire local partners to drive digitalisation. Regional Telcos from Malaysia, Philippines, Thailand, Indonesia and Vietnam have also expressed similar thoughts, emphasizing that external partnerships are a key aspect in helping their countries progress digitally. Dr Nguyen Quang Thanh, Director of the Department of Information and Communications of Da Nang, during the keynote panel discussion in AIBP held in Vietnam 2018, highlighted the challenges of digital transformation arising from the incompatibility of IoT solutions to infrastructure, thus reducing the effectiveness and efficiency of the government’s efforts to develop its digital landscape. Vietnam is not alone in facing these challenges, industry leaders across the region have called for collaboration amongst various stakeholders to overcome these challenges. Collaboration between local enterprises with knowledge of the country needs, governments crafting policies to boost developments in their country and international corporations looking for opportunities will help to create an interdependent ecosystem that is sustainable and benefits everyone. Across ASEAN, various initiatives to collaborate are starting to take root, with Indonesia implementing programs such as the construction of makerspaces and the 1000 Digital Startups Program counting to its efforts. Both programs aims to facilitate interaction between stakeholders and develop a sustainable ecosystem to help bolster the government’s efforts in digital transformation. On the other hand Thailand’s depa has signed multiple Memorandum of Understanding (MOU) in 2018 to expand its global and regional market outreach capabilities. Some of the MOUs signed include AIBP, United Overseas Bank (UOB) and Dassault Systemes. The MOUs serve to strengthen Thailand’s digital foundation for Industry 4.0, establish programs and channels to promote digitalisation. Digital transformation has gained momentum and has become a development objective of countries in ASEAN and around the globe. A challenge that has become apparent is the lack of appropriate manpower to drive and manage such transformation. Malaysia and Thailand have made progress in digital transformation but are now refocusing on efforts to lay a stronger foundation in training and education. Mr Ngan Cheng Hwa, Deputy Managing Director of the German Malaysian Institute as well as Dr Thitipong, Board of Commissioners from Port Authority of Thailand, both highlighted challenges in skilled personnel and urged for better approaches to talent development. This is to ensure future efforts for digitalisation can be well sustained by a highly trained digital workforce. Another challenge is awareness. Undersecretary Monchito B. Ibrahim from Department of Information Communications Technology (DICT) in the Philippines, stated at AIBP, that the mindset of the people must change for IoT adoption to take place, adding that few are aware of the scale of current IoT development, impact and implementation. It represents big challenges for adoption of IoT as people do not understand the changes and their potential benefits. As the digital economy era becomes more prominent, countries have to work harder to keep up. Education and awareness will be critical factors in determining the capability and potential capacity a nation has in developing digitally. A digital workforce will be essential in maintaining and driving the new economy. As IoT developments continue to accelerate throughout ASEAN, more challenges and opportunities will arise. Innovation will be the key to realising the full potential of the digital wave and its impact on ASEAN. If you are interested in keeping up with developments in the IoT market across ASEAN, drop us a note via info@industry-platform.com or register your interest at http://bit.ly/2DzpqA7. We look forward to seeing you in Asia IoT Business Platform Series 2019!